Growing up I had a huge thing for lip balms. In fact I had a whole caboodle full of them! 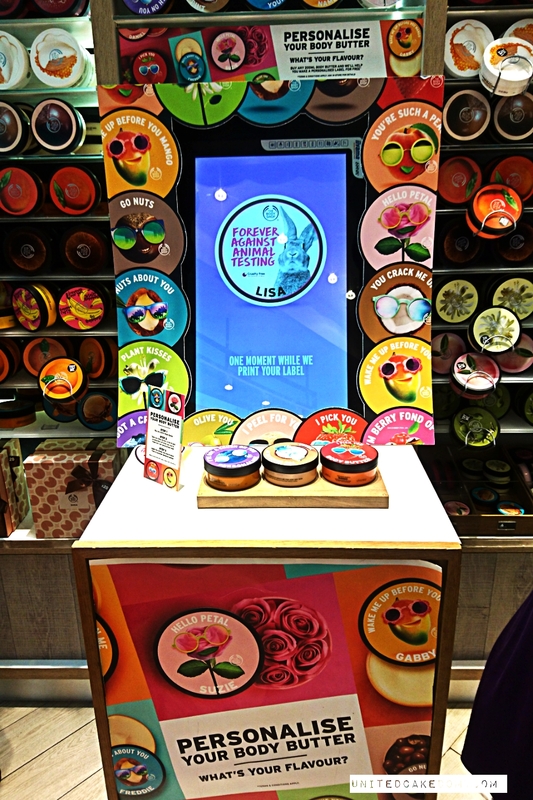 So, when I think of The Body Shop the first thing that comes to mind is lip balms. After my visit to my local branch last week (for a blogger event) there is a lot more to think of when thinking of The Body Shop. 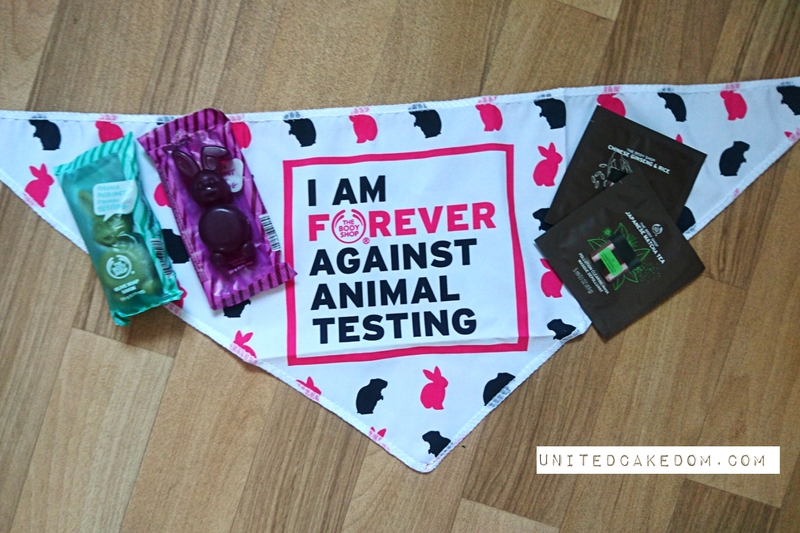 Firstly of their campaign against animal testing. They still need help to reach their goal of 8 million signatures on their petition to ban Animal Testing. You don't have to visit a branch to sign, you can do it online via their website. Secondly, although I will never not think of their lip balms, I now have a bigger range of products to consider when shopping there. Starting with their new body yogurts and face mists! 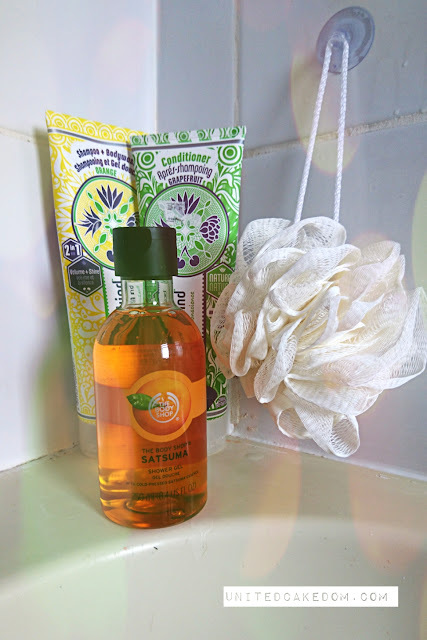 I love a body butter, probably the second thing I think of after lip balms when thinking of The Body Shop, but I find them too buttery and thick for the summer. The body yogurts are smooth and go on so easily and smell delicious. Banana is the scent of the season (also limited edition), but it also comes in almond, mango, strawberry, rose, and moringa 'flavors'. 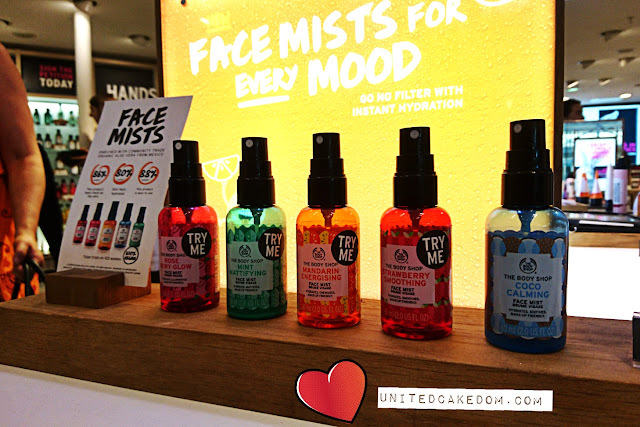 The face mists come in varying scents and do slightly different things, but in this heat wave they are essential in helping keeping your face cool and collected. They would be good for anytime of the year really; especially if you work in an office where your co-workers are constantly messing with the thermostat, ahem, and one minute you are hot and the next cool. 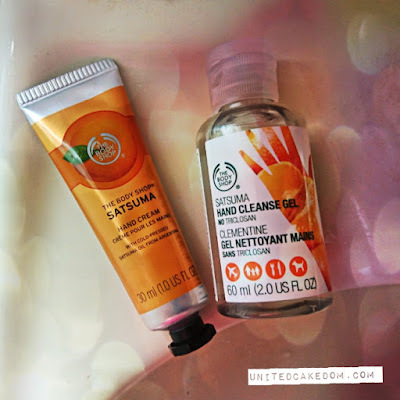 Both of these products are worth checking out on your next visit to their store or online. 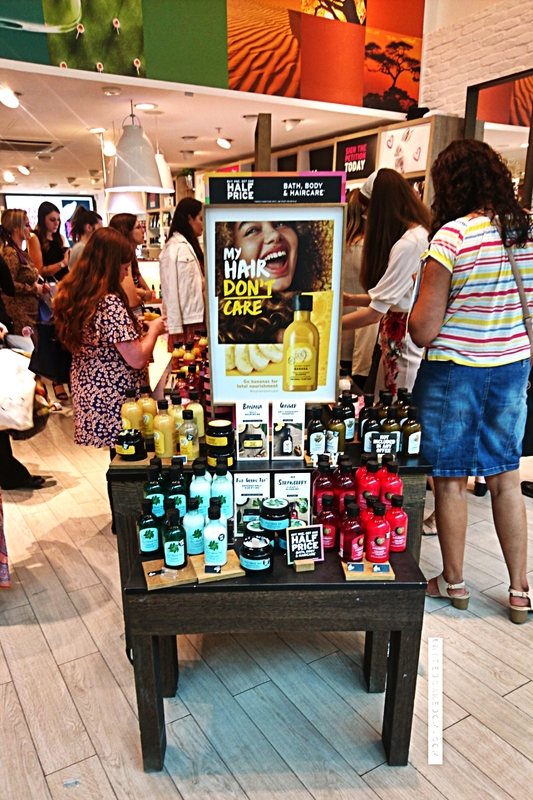 There is also a new extended men's range and of course all the products in scents you've come to love are still available. 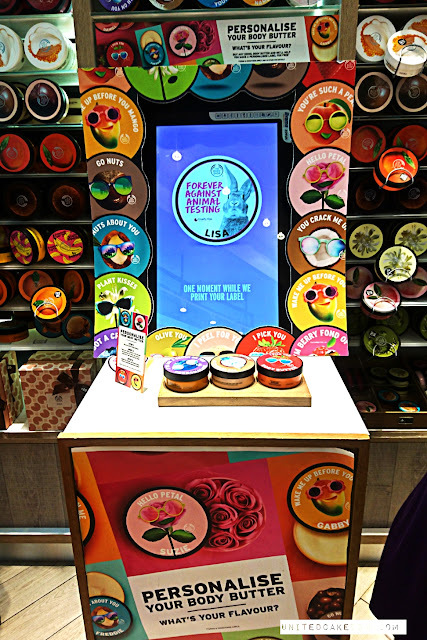 The beloved body butters can now be personalised for yourself or as a great gift! Not only do The Body Shop provide some great products you can use them knowing they aren't tested on animals. I was particularly drawn to the satsuma scent and bought a few things for my hand bag! It was a fun night with fellow bloggers and friends, it's always nice to be invited somewhere you already love and admire. Also, on the night Wagamama's provided us with food! Full meals that were delicious along with some samples of their starters! 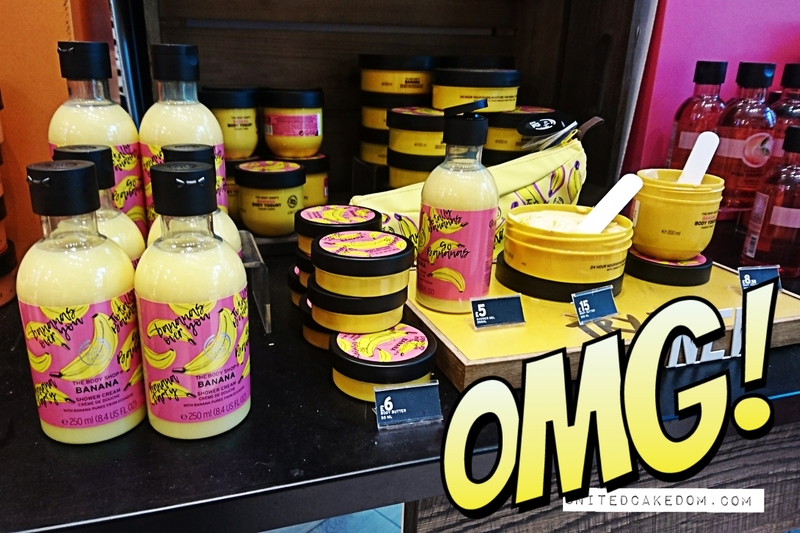 *I was invited to visit my local branch of The Body Shop as a blogger for the #gobananas launch, I was not asked to write a review nor was I compensated financially, I was provided with a gift bag with a few products to try out.